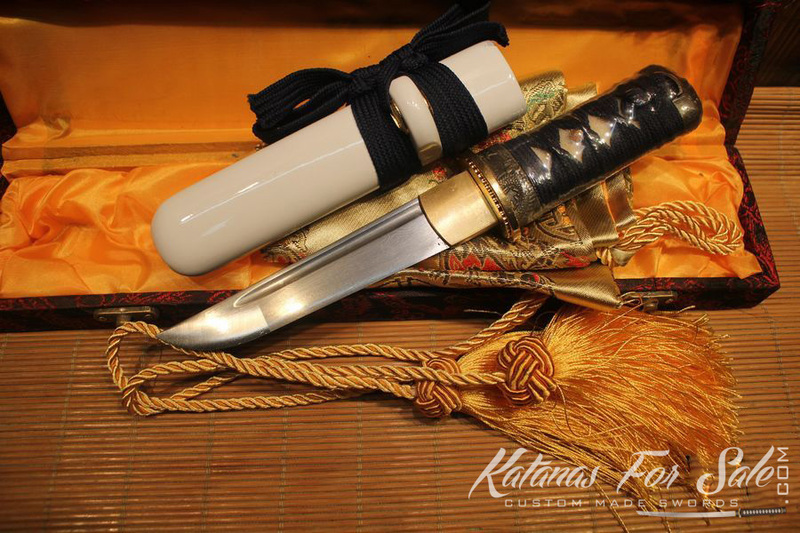 You are looking at a pocket size Japanese Tanto knife. 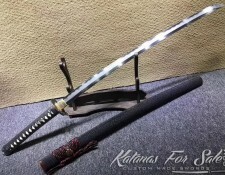 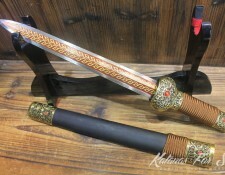 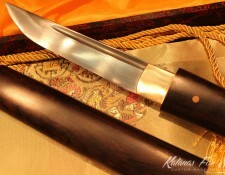 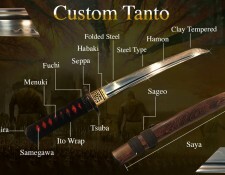 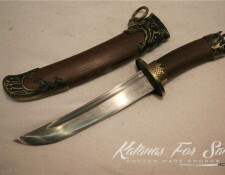 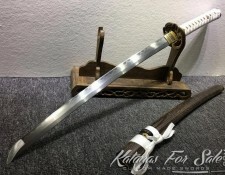 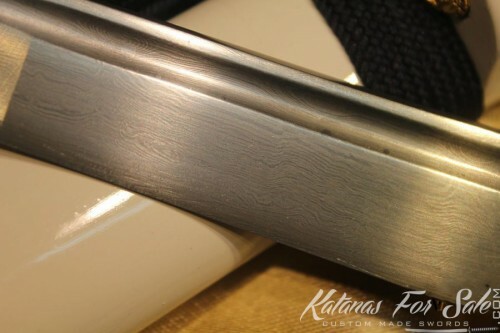 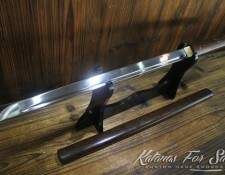 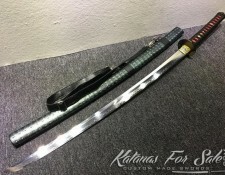 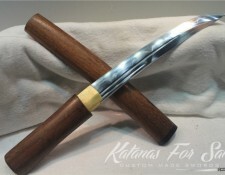 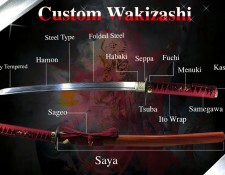 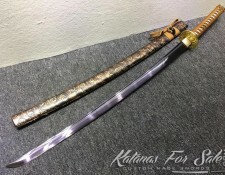 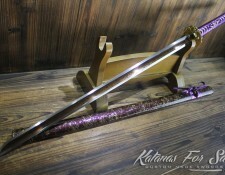 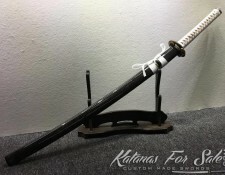 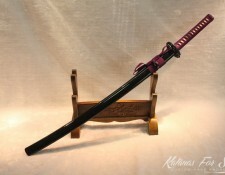 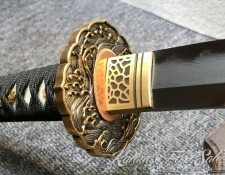 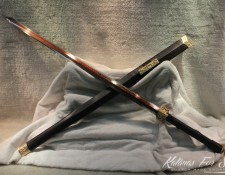 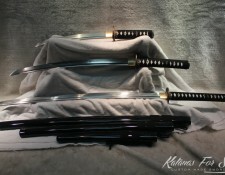 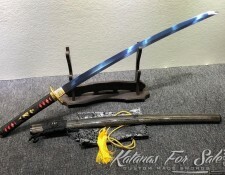 It is only 25cm long the blade is made of 1060 carbon steel it has been folded 13 times creating 8192 layers. 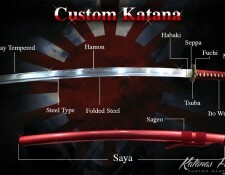 The blade is razor sharp and fully functional. 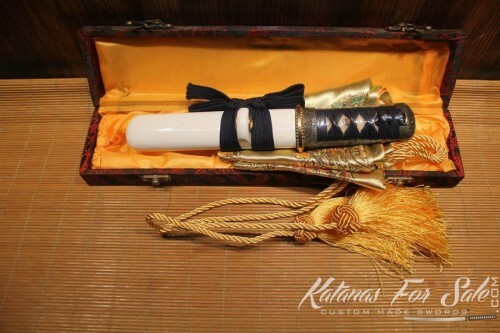 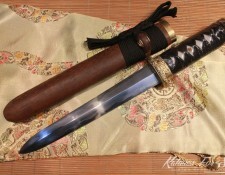 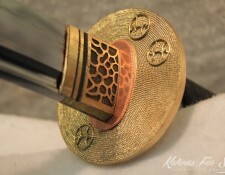 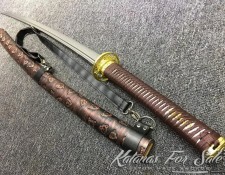 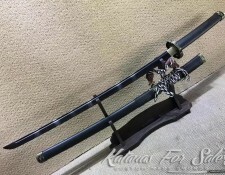 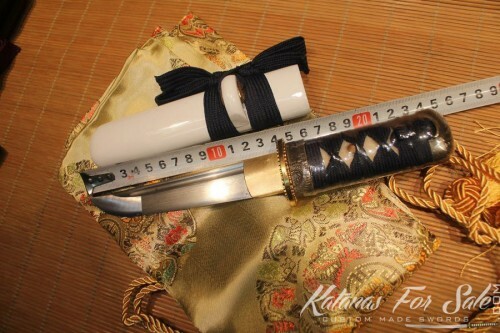 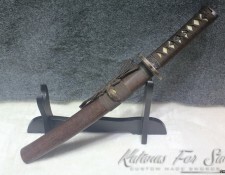 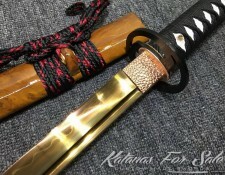 It features a copper tsuba, habaki, authentic white ray skin samegawa.